The Labour politician has weathered racism and sexism to remain one of the country’s most beloved MPs. The June 8 general election in the U.K. brought some surprise results. What was predicted to be an easy win for sitting Conservative prime minister Theresa May turned into a brilliant night for Jeremy Corbyn's Labour Party. The final result was a hung parliament, as Labour made gains across the country. The Conservatives are now weakened, and have been forced to form an alliance with the Democratic Unionist Party (the DUP) of Northern Ireland in order to form a majority. One of the most feel-good results was the turn-out for east London's Labour MP Diane Abbott, who won her biggest majority ever. This feels so good because longstanding politician Diane Abbott has blazed trails throughout her career. 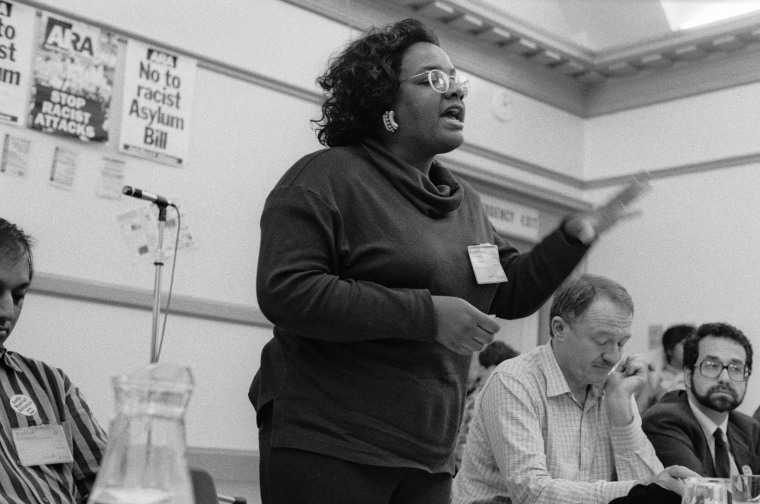 The child of a working class family, she became the U.K.'s first black woman MP in 1987. She's the founder of the London Schools and the Black Child initiative, which aims to raise educational achievement among black children in the capital city. In 2008, she won The Spectator magazine's award for Parliamentary Speech Of The Year for a speech on civil liberties. She voted against the Iraq war, and has consistently voted in favor of LGBTQ rights, higher disability benefits, and jobs for young people. She set up a cross-party committee to investigate gun crime, and she is the chair of the All Party Parliamentary British-Caribbean Group. Abbott has been lampooned by the press and public for her mistakes in a way that her white male counterparts have not been for theirs. But last night, she proved her critics wrong, winning in her constituency by a majority of 35,139 (75.1%). The result spawned tears, praise, and memes all round — here's a quick recap. Abbott took her biggest majority share of the votes in Hackney ever. In fact, her majority was larger than Theresa May's actual share of the vote. Twitter was overjoyed for her. I just wanna say that @HackneyAbbott is an absolute legend. You will go down in history books for many years to come. Some highlighted the fact that Abbott correctly predicted this election outcome all along. She's been killing it for two decades now, and she's not going anywhere.